Small waterfall and mountain streams in Åselidalen, Northern Norway. Photo: Nordland Adventures. 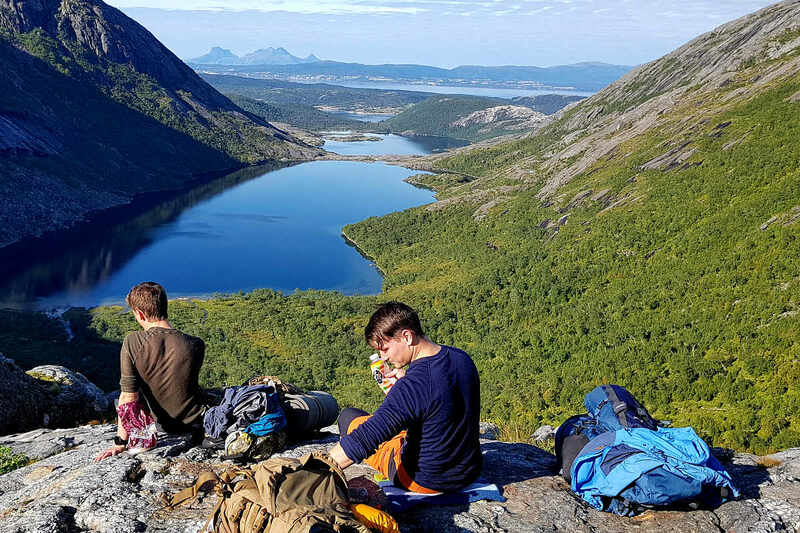 Bodø is known for excellent hiking options, its diverse landscape and the easy access to the mountainsides. If you’re a hiking enthusiast, you should add the area to your bucket list. 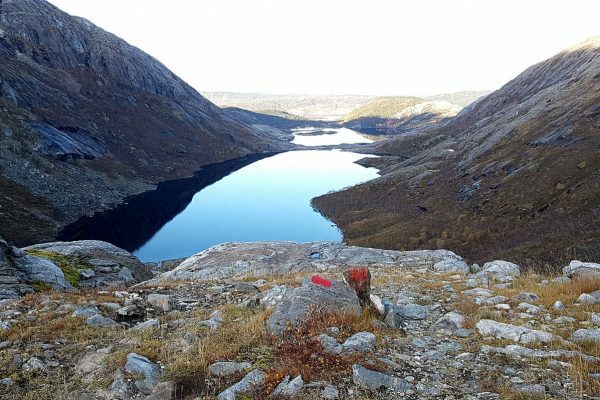 All levels: Bodø offers a broad selection of easier hiking tours for beginners as well as more challenging hiking routes. However, most of the routes remain well off the beaten track for most tourists. Lake Åselivatnet in the Åselidalen valley Photo: Christine Jensen. 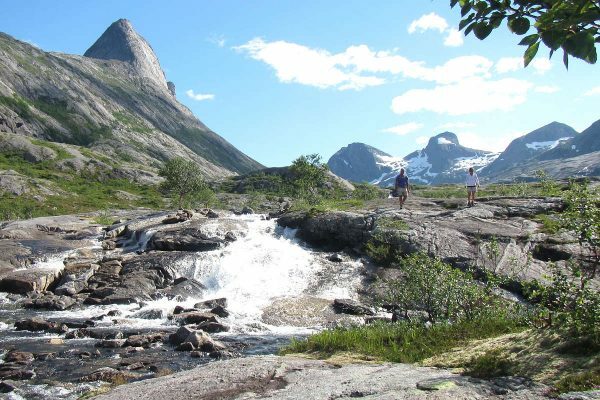 The Hidden Valley: The Børvasstindane mountain range contains the signature mountains of Bodø. 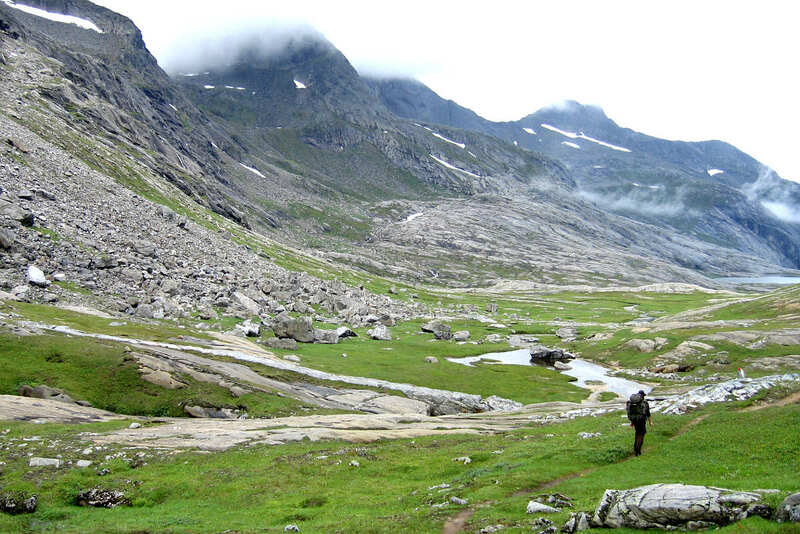 Åselidalen – “The Hidden Valley” – cuts into the mountains between the mountain ridges Åselitindan and Falkflågtindan. Peaks: The valley is surrounded by jagged peaks, all over 1,000 metres above sea level. 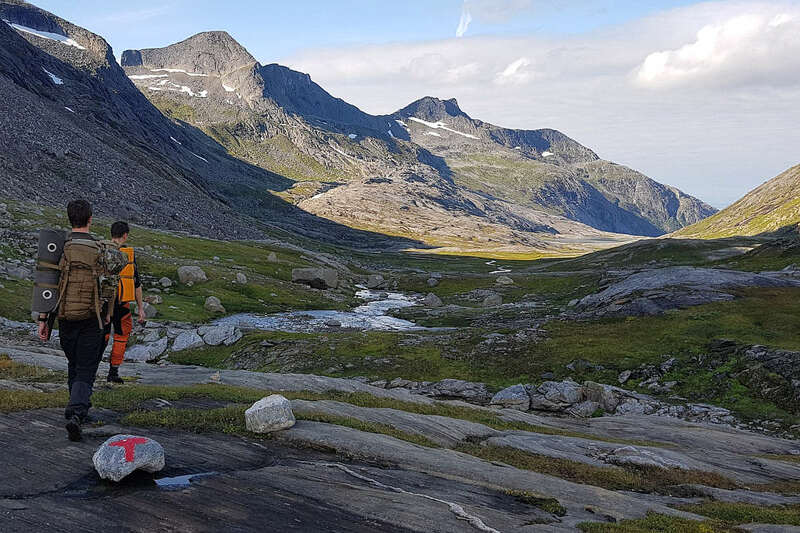 Two of them, PerKalsa and Børtind, are favourites among the locals heading for a steep day hike. Book Trip - "The Hidden Valley"
Is this trip for me? This trip is designed for beginners and intermediates. You should have some outdoor experience in walking and hiking before you arrive. Terrain: You must be able to walk on trails in slightly hilly and rugged terrain. Total length: Approx. 4 km up and down (8 – 12 km if we choose the extended trip*). Elevation: From starting point 60 metres above sea level to lake Åselivatnet 160 m a.s.l. 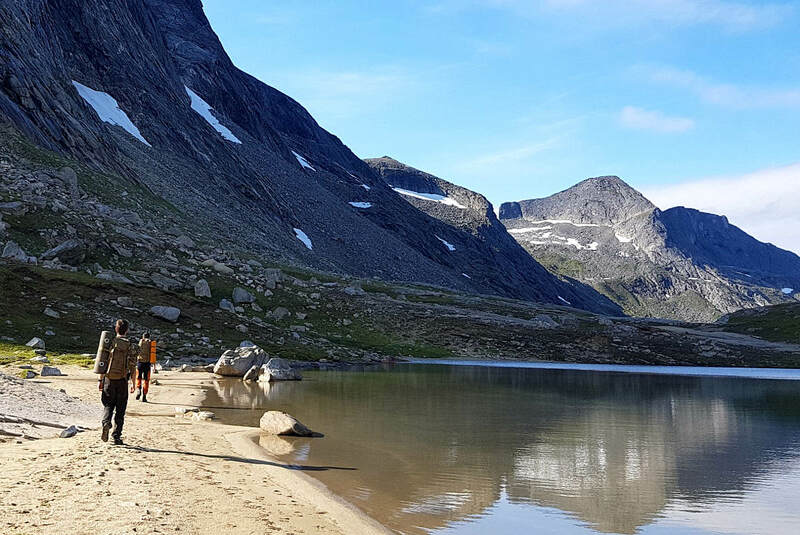 The standard trip: Ends by the upper Lake Åselivatnet and follows almost the same route back. 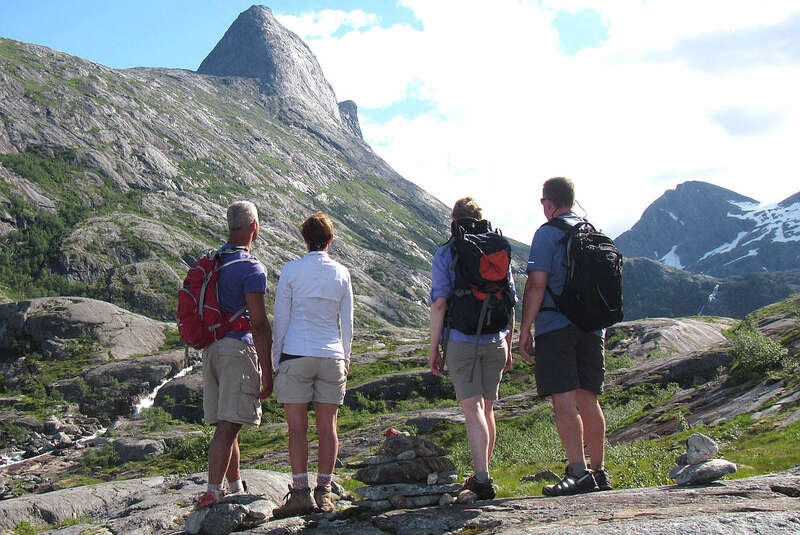 *The extended trip: Possible if everyone in group can do this hike and the weather permits. This option includes a bit more rugged terrain and one particularly steep section. The total distance will range from 8 to 12 km. The typical group size for our trips range from 2 to 15. We prefer to keep the group size as small as possible for these trips, which improves the experience for the participants and guide alike.